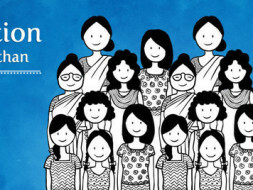 We are Nitish, Kalyani and Nrupraj. We work with Piramal Foundation for Education Leadership. Kalyani and I are Fellows and Nrupraj is our Programme Leader. We have been working with government schools in the tribal regions of Sarada, Udaipur (Rjasthan) for the past year and a half. The regions in which we have been working is extremly deprived from the gains of the 21st century. Many of the villages have yet to see electricity. The awareness with respect to health and hygiene is poor. 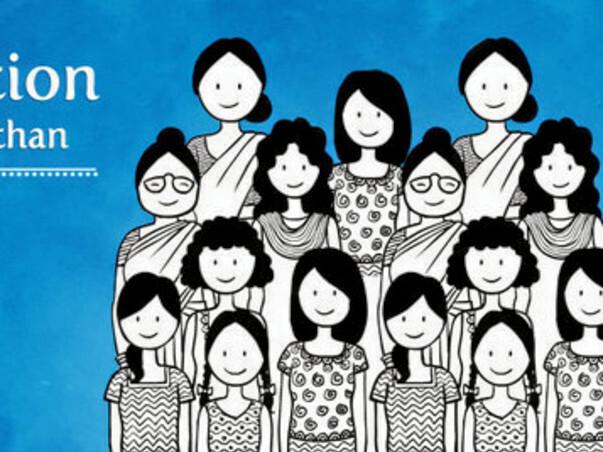 What really bothered us is lack of awareness regarding Menstrual Health and Hygiene. Perhaps the extent of the taboo, especially in Indian context has been beautifully captured in this article by Disha Madhok, featured in Quartz (India). One does not need data to acknowledge the widespread prevalence of the taboo. However, Just to be sure, we, too, conducted our survey. We approached 100 government school girls and the data only confirmed the exhaustive data available online. A detailed report of the survey is available here. 95% of the girls were unaware of the reason for menstruation. 68% of the girls believe that they are impure during the 3-7 days of menstruation. reach out to the girls just a little before they attain puberty. 1. Collaborated with 10 schools which have at least 1 lady teacher. From more than 30 schools, we shortlisted 15 schools and after a detailed interaction with the headmaster and the staff and after finding the motivation on the part of the teachers to take this initiative forward, we have chosen 10 schools. 2. Collaborated with Jatan Sansthan for support with the training. Jatan has offered to conduct 2 workshops. 1 for the teachers from the 10 schools and the other one for the girl student representative from class 6,7 and 8 respectively, from each of the 10 schools. The teachers, with the assistance of the girl representative, will replicate the workshop in their respective schools. 3. Approached Aditi Gupta, co-founder of Menstrupedia.com. We want to make the Menstrupedia Comic available in the libraries so that the girls can borrow the book and read and understand about the process of Menstruation from the comfort (and privacy) of their homes. The book is extremely valuable as using the book, we will be able to reach out to schools where there is no lady teacher who can guide the girls or in schools where the lady staff is not comfortable in talking to the girls. In such cases, just issuing the books to the girls can still make a significant contribution to the lives of the girls. We have had a busy one week! We finished two days of workshop with the girls on the 13th and the 14th of this month and yesterday, we completed our workshop with the teachers. It has been a fun filled and insppiring three days. The girls had a good time and the teachers had an even better time. It is now left to follow up with the teachers and see how they take it to their classrooms in their schools. We will update you on the same. In the meantime, we have put up the pictures of the workshop's 1st day on facebook. Please find the link here. This would not have been possible had it not been for your contribution and support. Thank you. Stay tuned for more updates.